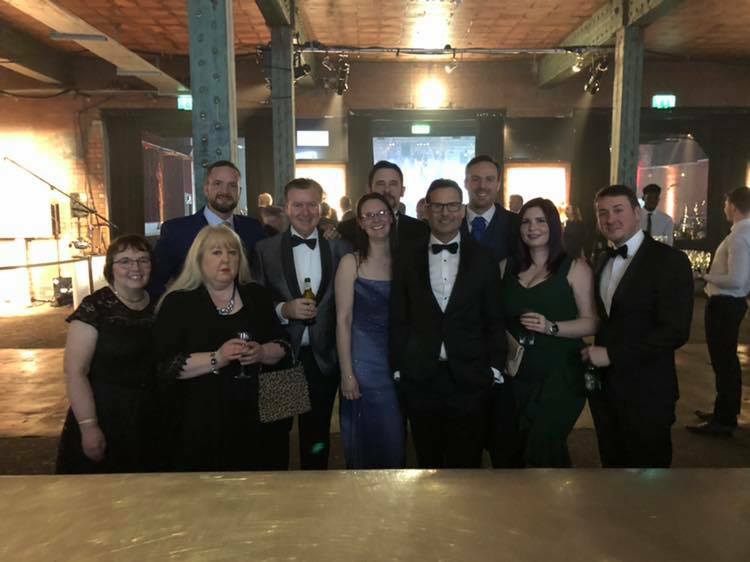 Our team had a great time at the KBB Review Awards final on Thursday in Manchester. Unfortunately, on this occasion we didn’t come away with an award, but we are extremely proud of our team to have been shortlisted as finalists for two awards, amongst such strong competition. Our Perth Showroom was nominated for Bathroom Retailer of the Year and our stunning Edinburgh Showroom was finalist for Bathroom Showroom of the Year. Fiona Lowry, Director commented, “Although we didn’t win on the night, it was still a great experience for our team. Being shortlisted as finalists for two separate awards is testament to the hard work and commitment from our team and the quality of bathroom and kitchen designs, we produce for our customers. The sold-out event took place at the Victoria Warehouse in Manchester and was hosted by BBC Breakfasts, Steph McGovern. Attendees were treated to an Oasis tribute band after the awards ceremony, and our team danced away into the early hours. This entry was posted in Awards, Business and tagged Finalists, KBBAwards, KBBreview.